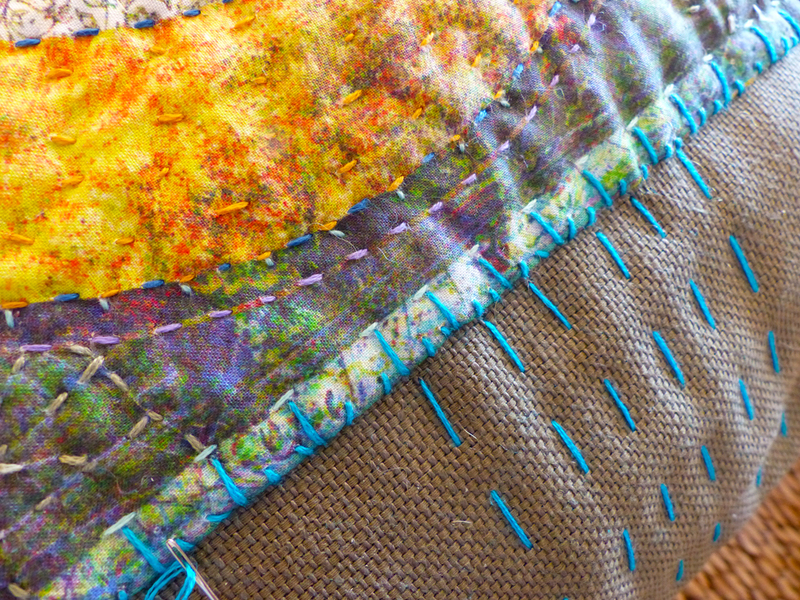 Looking for words to describe the stitches that follow color and shape and pattern…layers upon layers that started out as a something that was photographed, losing its way within a photoshop process that I cannot exactly describe. When I am doing it, I am just in it. Several years ago, I happened on a “spirit cloth” blog by Jude Hill, that captured me for a week as I read the full seven years of entries. 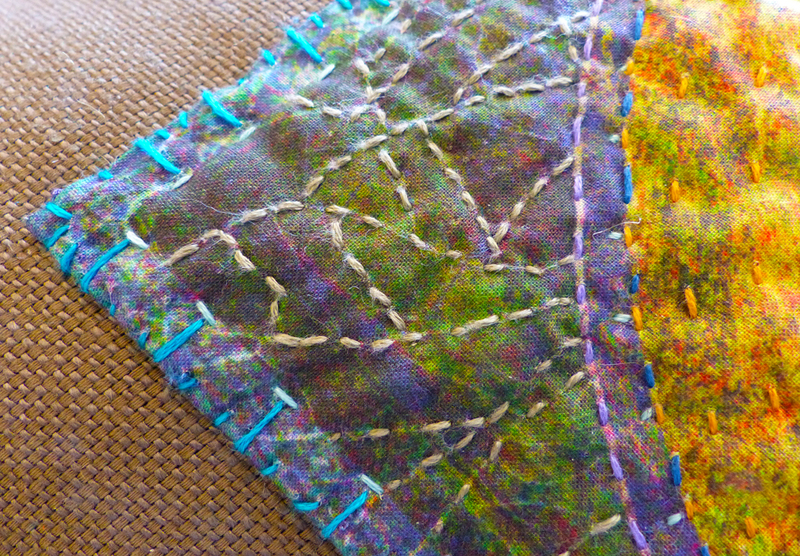 I read about process and stitching and bit and pieces of personal life and a cat named Soul-O. Now I read her every day. I’ve found myself reminded of a younger me who liked to embroider and sew. What I remember from my younger self is the longing to slow down and sew like Fern. It took me almost forty years to come back to this slowing down. 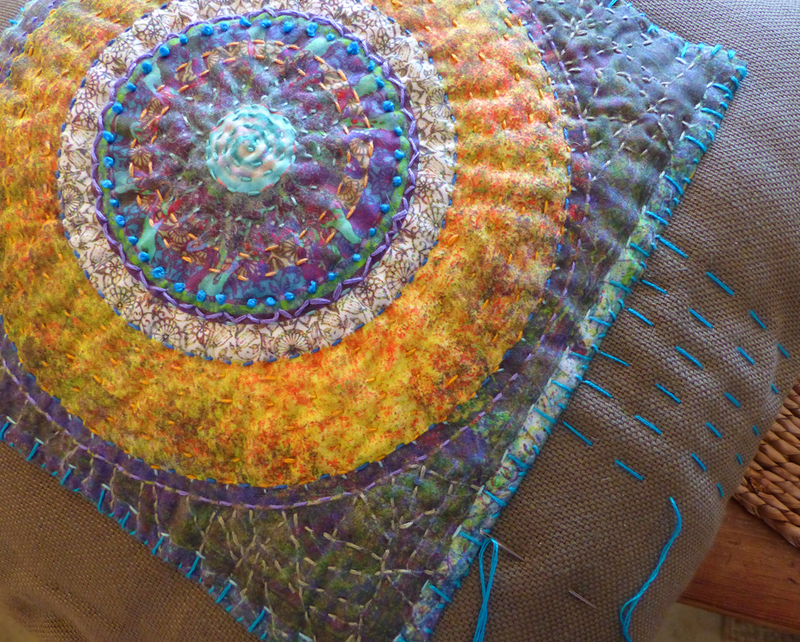 I am now sewing again with awkward stitches and no viable business plan for art marketing of embroidered mandalas. It’s taking so much slow time just to do it. This mandala was accidentally printed too large to go on an apron bib as originally planned. Now it’s hugging a store-bought pillow (haven’t slowed down that much to make the pillow by hand) made by someone in India working for a pittance. The mandala puckered with the stitching on to a thin layer of cotton batting. 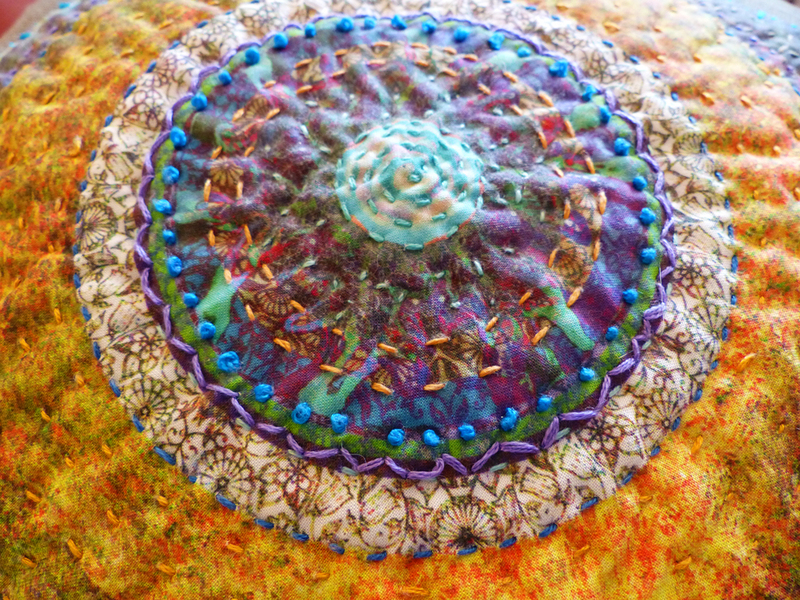 The “feel” of it becomes my favorite layer, a digital mandala for touching. • following the pattern of the original cracking of paint on an old propane tank using pale green thread…many, many years ago I visited the huge studio and artists’ gallery space of Chris Sorenson in Fresno. He had piles of old propane tanks outside the front entrance. I took many photos of peeling paint on the tanks. These photos seem to find their way into a layers in almost all of my mandalas. As I stitched the lines of the paint, I remembered those tanks, now long gone as art works in their own right. 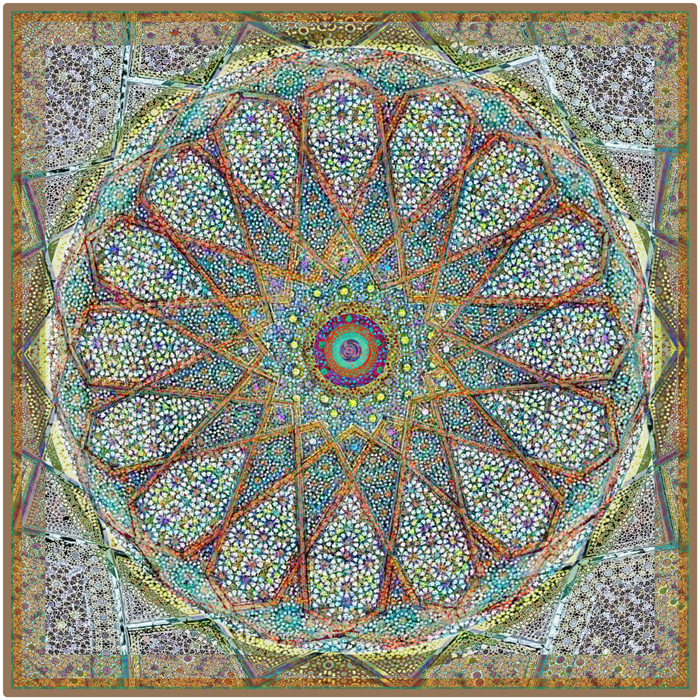 This entry was posted on July 17, 2018 by Elsah in Mandalas, Stitch and tagged Digital Collage, Elsah Cort, mandala.